We create beautiful smiles one smile at a time! 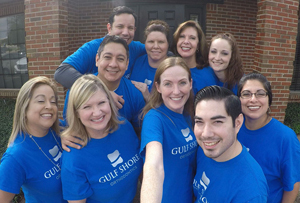 With offices in Friendswood and Texas City, Texas, we are proud to deliver outstanding orthodontic care for the entire family in a clean, relaxing atmosphere. Our staff offer a wide range of orthodontic braces and appliances to meet the needs and desires of each individual patient, including metal and ceramic braces and clear aligners. Searching for a way to straighten your teeth where no one can notice? The Invisalign system may be a perfect treatment option for you. Invisalign straightens teeth using a series of comfortable and removable clear, plastic aligners. Our offices are equipped with state-of-the-art technology to ensure our patients receive optimum results in the most efficient manner possible.